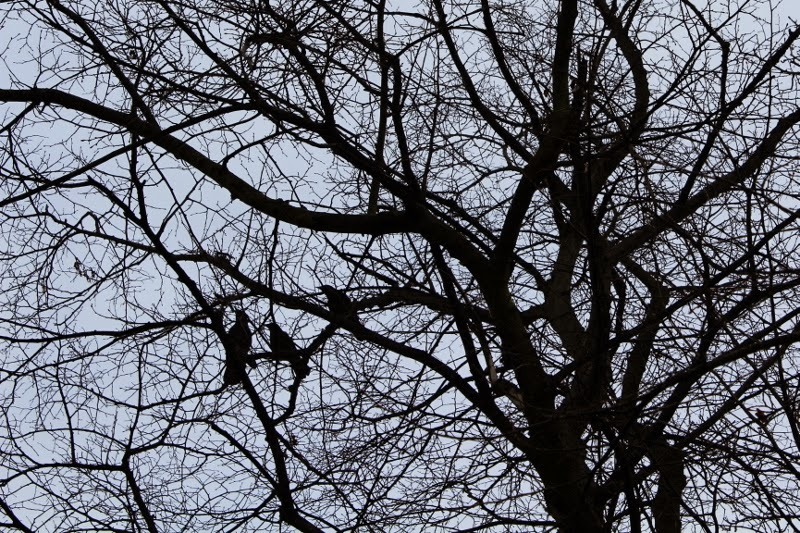 Much as I enjoy seeing trees in full leaf there is something very attractive about their stark winter silhouettes. These three rooks look very much at home here. I bet they were noisy! The trio must surely be up to something. Yes, collective nouns for Rooks include Parliament or Storytelling, these three remind me of the latter. That too, although Rookery is also a collective noun for a group of Penguins.......................!